Polished Stainless Steel Mixing Bowl 6-Piece Set Just $12.99! Down From $40! You are here: Home / Instagram / Polished Stainless Steel Mixing Bowl 6-Piece Set Just $12.99! Down From $40! This is a great addition to your kitchenware collection! Groupon has this Polished Stainless Steel Mixing Bowl 6-Piece Set on sale for just $12.99 down from $39.95! 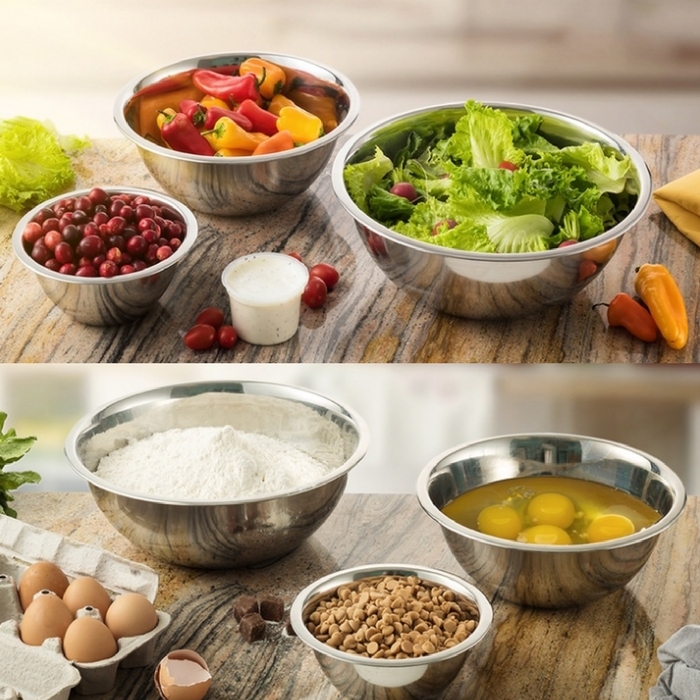 Whether you’re making salads or baking a cake, this mixing bowl set would be a great tool! It’s a 6-piece set on a really great price! What are you waiting for?